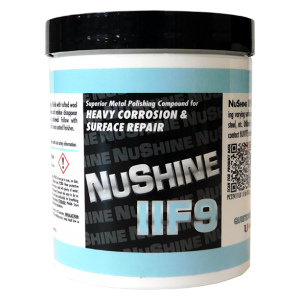 Metal polish for heavy corrosion and surface repair used in a multi-step procedure. Perfect for polishing away heavy corrosion and extreme pitting on clad, cast or forged aluminum, nickel, stainless steel, etc. Apply sparingly with tufted wool compounding pad on a circular buffer. Polish until oxidation and residue disappear. 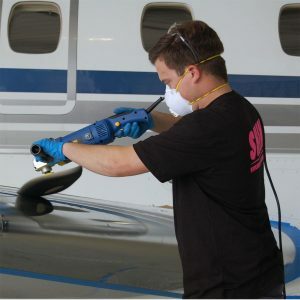 NOTE: Extreme corrosion may require pre-sanding with SIA ABRASIVE PADS. Repeat until desired surface is achieved. Final finish with NUSHINE IIS. Pitting. Rust. Scratches. Oh no!